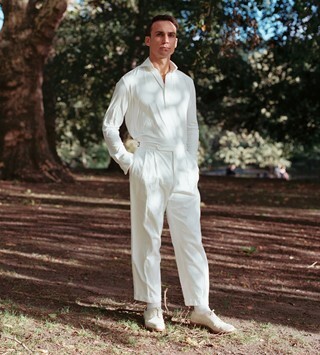 Since the turn of the 19th century men have turned to the fur coat for head-turning fashion, which is to say that guys have been stunting in the lush material well before menswear was as meticulously curated and catalogued as it is today. Fur has had a topsy-turvy history as a signifier of class and status, bouncing from the exclusive wardrobes of the aristocracy and into the realms of everyday wear thanks to fast fashion (in the guise of its faux cousin, at least). 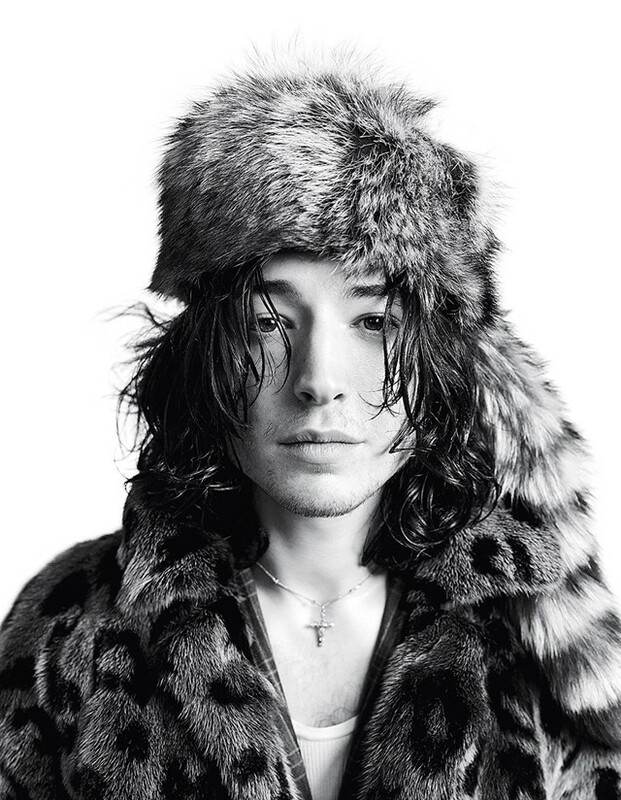 But while history tends to focus on women, men – from affluent East Coast prepsters to god-level rap stars – have had quite the history of their own with fur. 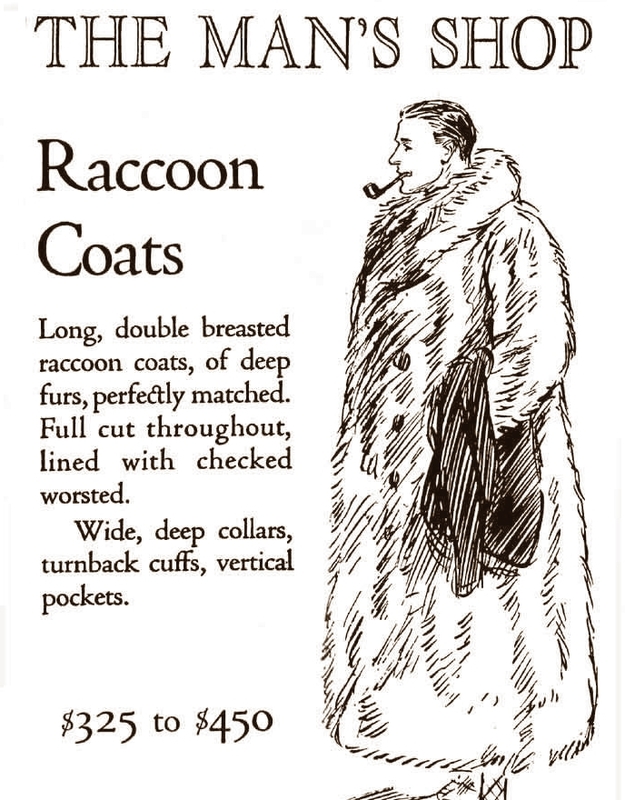 In the 1920s, the full-length raccoon fur coat became an “it” item for wealthy college kids at American Ivy League schools, where football games were must-attend events (and ones to get dressed for). The trend appeared in men’s lifestyle magazines and newspaper fashion columns across the United States. Looking to market directly to the intended target, coat companies took out ads in college newspapers. 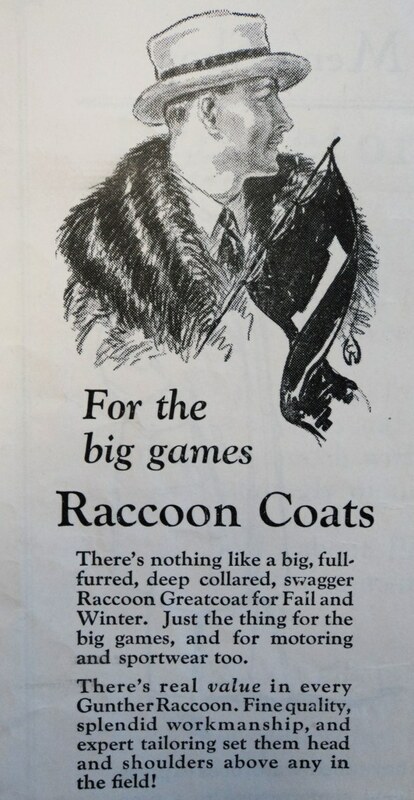 “There’s nothing like big, full-furred, deep collared, swagger of a raccoon greatcoat for fall and winter,” one ad stated. Another showed a burly man smoking a pipe and listed prices starting at $325 (approximately $4,110 or £3,158 in today’s money). In 1928, singer George Olsen released the single Doin’ the Raccoon, an ode to being young and rich and owning a swanky raccoon coat. At the trend’s apex, fur found its way onto a 1929 cover of The Saturday Evening Post. 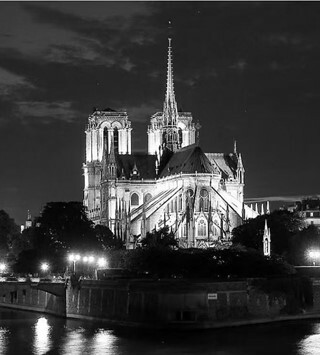 Interest in the raccoon coat dwindled among college students by the late 1930s, save for a slight resurgence within the jazz scene in the mid-century led by stylish black musicians like Miles Davis and Lee Morgan. 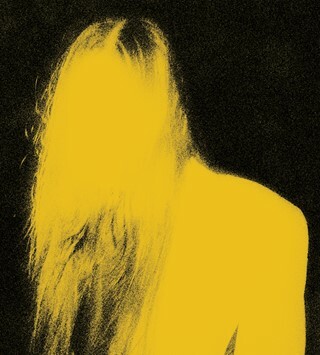 And much like the music itself, the look of fur was co-opted by the global rock and roll scene as well. 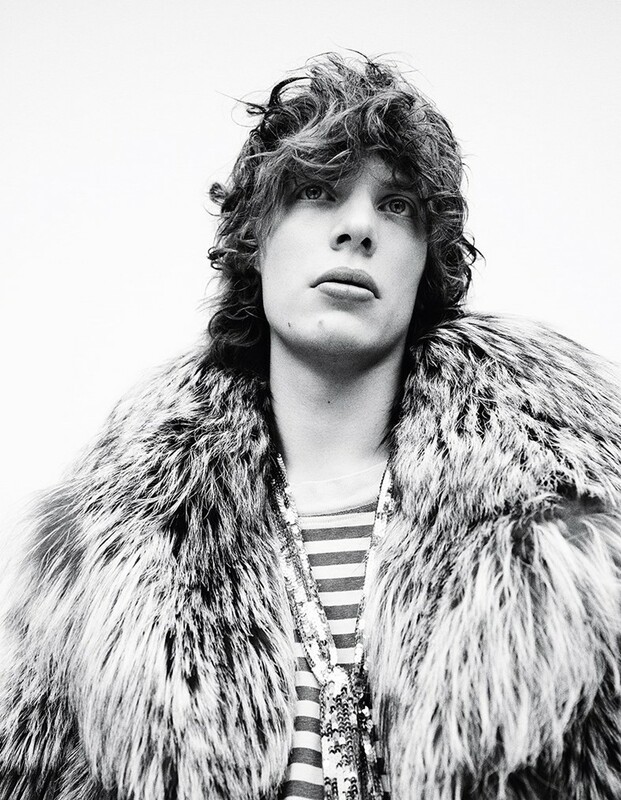 On this side of the pond, fur was having its own moment among the Swinging London crowd. Acclaimed photographer Terry O’Neill snapped the now-iconic photo of a young Mick Jagger – fur coat, pinky ring and all. Jagger and his band were a huge influence on how British men of the era dressed: Mod-inspired suits, double-breasted topcoats, and plenty of decadent silk and fur. 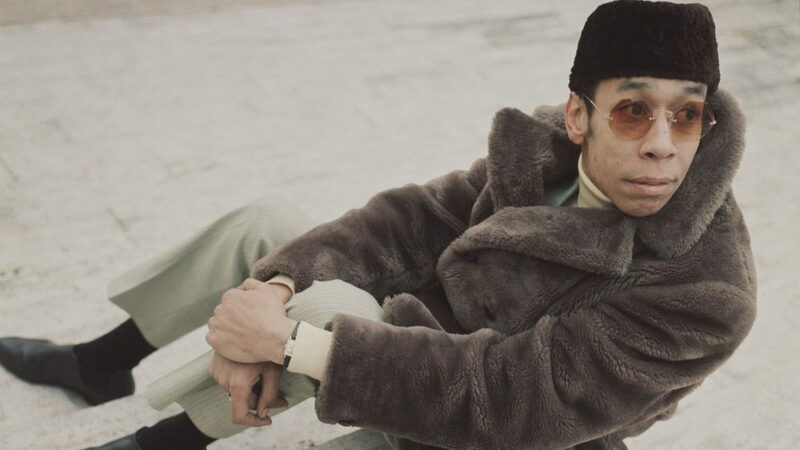 In the decades that followed most white men stuck to a straightforward Don Draper-esque dress code and wore wool jackets during winter, while some black men of the era dared to wear loud fur coats in bold new ways. The look became so well known that fur became a stereotypical presence the 1970s-era blaxploitation films like Willie Dynamite and The Mack, many of which portrayed African-American men as fast-talking hustlers in flamboyant hats and garish coats. 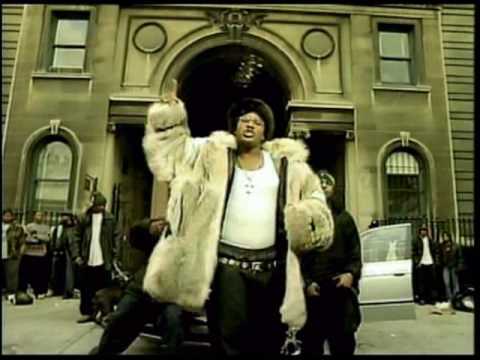 In the early aughts, Cam’ron donned an ultra-oversized fur coat in the music video for the single My Hood. Two years later, at New York Fashion Week, the rapper was famously paparazzied wearing a baby pink mink coat and matching fur hat, all while talking into a glossy flip cell phone. (The photo remains just as iconic and beloved today as it was back then.) On his 2004 single Down and Out (featuring a young Kanye West), he raps: “Fox, minks, gators, that’s necessary / Accessories, my closet’s ‘Pet Sematary’ / I get approached by animal activists / I live in a zoo.” When it came time to pose for the cover of XXL Magazine in 2006, Cam opted for angelic white fur. In hip-hop’s hyper-masculine world, Cam’ron and his contemporaries ushered in the notion that flamboyant fur coats were stunt-worthy garments. 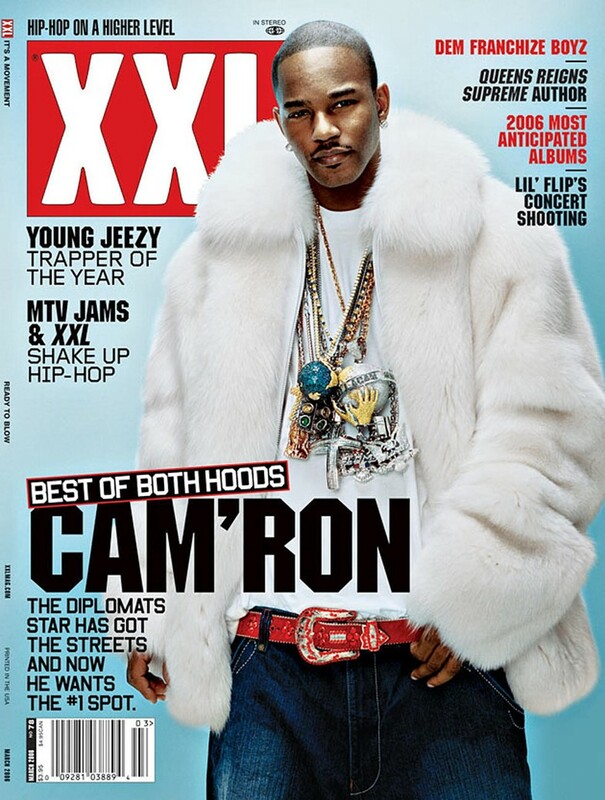 But make no mistake: Cam’ron undoubtedly set the agenda and standard for rappers wearing fur– and today’s hip-hop stars have certainly followed suit. Rick Ross took the stage at the 2012 BET Hip Hop Awards wearing nothing but blue jeans, a Louis Vuitton belt, and pristine white fur coat with a grip of chains around his neck. Drake posed in front of a snow-covered mansion wearing fur for his Views album art and has stepped out in other fur coats too many times to count. Everyone from Gucci Mane to Kanye West to the entirety of Migos have been spotted in over-the-top furs. The booming class of Soundcloud rappers like Lil Yachty and the late Lil Peep have embraced exorbitantly styled furs with open arms. The look isn’t limited to rap either: pop star Justin Bieber wore an insane fur coat and super-shredded, paint-splattered skinny jeans with Chelsea boots for a look perhaps best described as Liam-Gallagher-on-a-bender chic. Harry Styles has also been known to channel the look, too. And this year, from Paris to New York, the world of menswear could be seen experimenting with colourful furs inside and outside of all the major fashion shows. Yet-to-be released coats include styles from Japanese label Needles, a loud coat with tiger striped; from Prada, an ultra-fluffy jacket in a bright shade of chili pepper red; and from Versace, a double breasted officer’s coat accented by a bold leopard pattern. 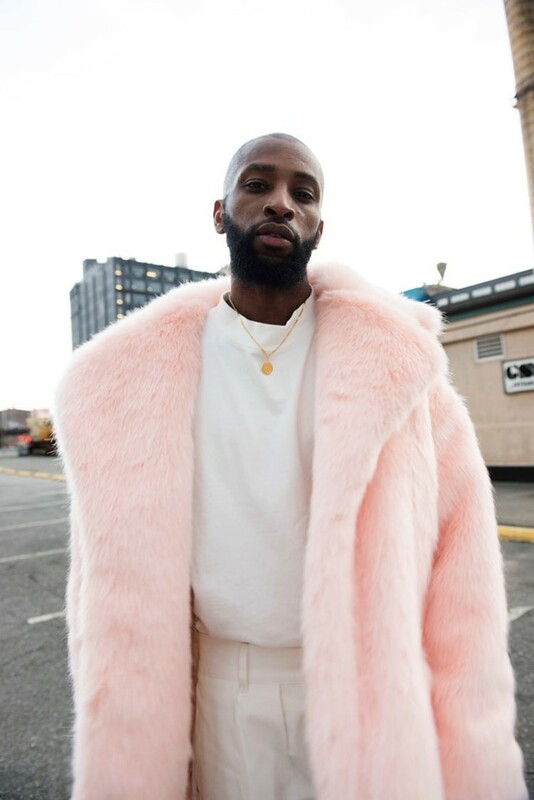 New brands are designing with faux fur and clearly their inspiration is coming from the type of coats worn by Killa Cam – not the preppy raccoon jackets of the 1920s. 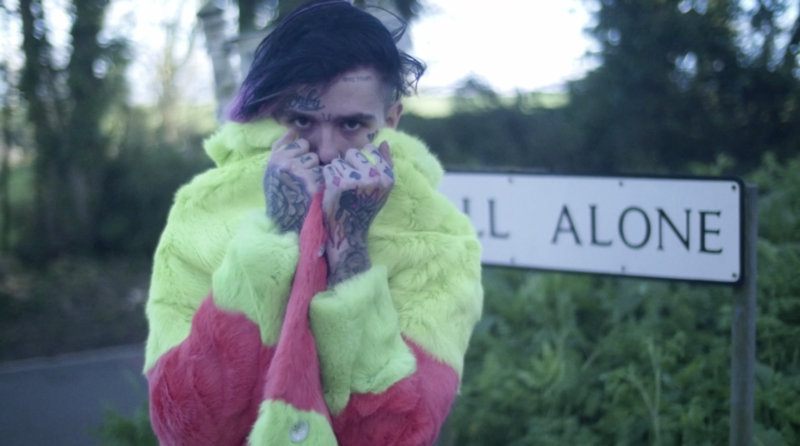 The New York label Landlord makes candy-coloured faux fur coats that feel like they are almost exclusively designed for the world of streetwear and hip-hop. High-profile wearers of Landlord coats include Wiz Khalifa, Rae Sremmurd, and Migos. The label recently released an entire collection of faux fur wares – coats, bags, hats, and bombers in a variety of colours – at beloved menswear retailers like Barneys New York and Dover Street Market. Supreme has included a variation on the faux fur coat in each one of their Autumn/Winter collections in the last few years. One of the brand’s most covetable jackets from recent seasons is a faux fur bomber that sells for well over £1,500 on the resale market. (It retailed for £322.) 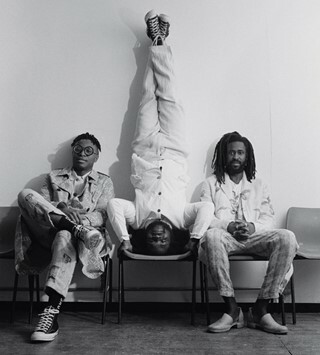 The look of eccentric fur has even made its way to the skyrocketing world of Instagram-based streetwear brands, such as CloutGods which, started by two college students in Los Angeles, sells “clout coats” – faux fur coats in eccentric shades and silhouettes. Expensive animal fur is no longer the status symbol it used to be. 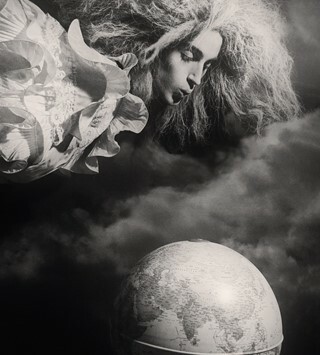 Today’s public conscious is less forgiving to brands who use real fur material. An increasing number of luxury labels ranging from Gucci to Coach are going fur-free thanks to decades of pressure from animal rights groups. Since last winter, London Fashion Week became the first major fashion week to go fur-free. Fast-fashion giants like Zara and H&M created an era where statement faux fur pieces can be purchased for around £75. Yet despite all of these things, vibrant shades of (mostly faux) fur certainly seem to be having a real moment in menswear. Fur is still the drip. 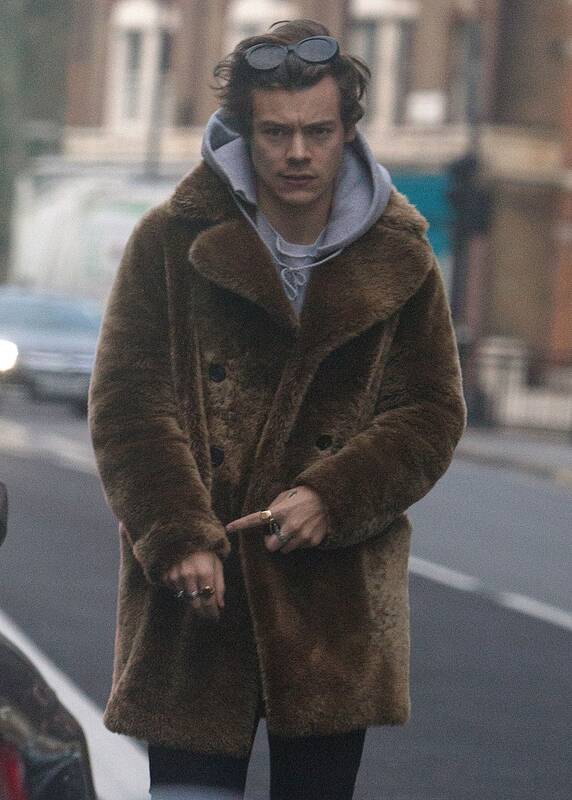 The men of the 1920s might have used fur to signify their social status, but today’s men just seem to be wearing the outrageously styled coats for the fun of it – or because they saw their favourite rapper wear one.